This Light Award is sponsored by the Free Science of Getting Rich Audio and processed through Kiva.org. 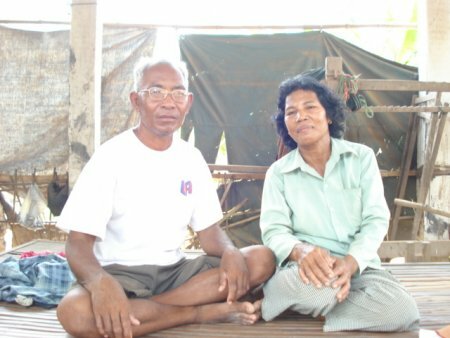 Mrs. Nem Kit and her husband, Mr. Pann Mean (pictured together), live in a small village located approximately 15 kilometers from Phnom Penh City. They have been married since 1971 and have six children: three sons and three daughters. Three of their children are married and live in separate homes; one son is a fisherman, one drives a horse cart and one attends school. Nem has been selling fish for more than ten years. Her husband has been driving a horse cart for more than five years. She is requesting a loan of $1,000 to purchase fishing nets for her son who is a fisherman. Congratulations to Mrs. Nem Kit!